I can’t believe 2014 is here.. where has the year gone? Time flies when you are having fun! Currently, I’m on my way home from Colorado. I went skiing with my husband, brother, and a couple friends. It was a lot of fun to start the new year on the slopes! The long drive had me thinking about everything I achieved personally and professionally in 2013, and it has me excited for what is to come in 2014! I created a highlight video of 2013 using the Flipagram app. I would like to share with you how I made eating healthy and exercising a priority this past year, which led to a 10 pound weight loss since the beginning of January. I’m super excited that I have been able to maintain my weight loss, and I was able to purchase jeans in December that were 3 sizes smaller than in January! Did I eat healthy all the time? No. Did I exercise all the time? No. 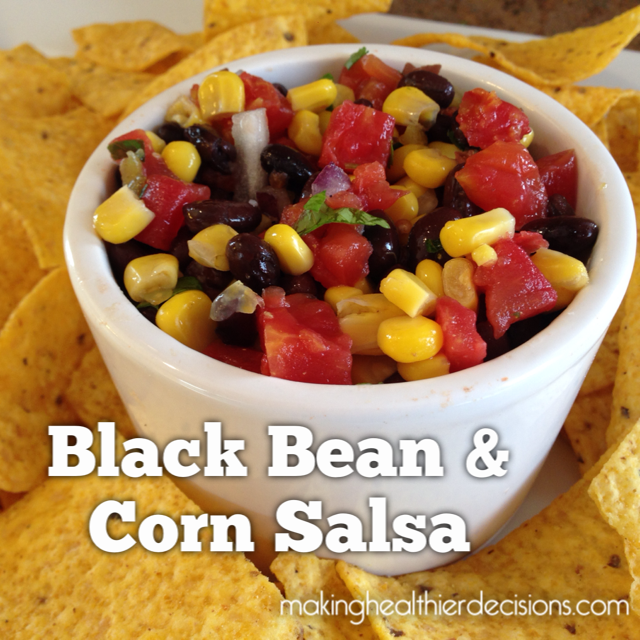 I achieved the right balance by making healthier decisions! I will never forget when I was complaining to my husband about how I didn’t have time to exercise or eat healthy. His response, “Kayla, you have time, but you are just not making healthy eating or exercise a priority.” He was right, and I needed to hear that! I finally realized that I was choosing other activities to fill my time and my excuse wasn’t going to work anymore. For 2013, I made eating healthy and exercising a priority. For exercise, my goals were to workout at least 2 times a week at my CrossFit gym, but it really depended upon my schedule. My biggest accomplishment within CrossFit was competing in the 2013 CrossFit Open. 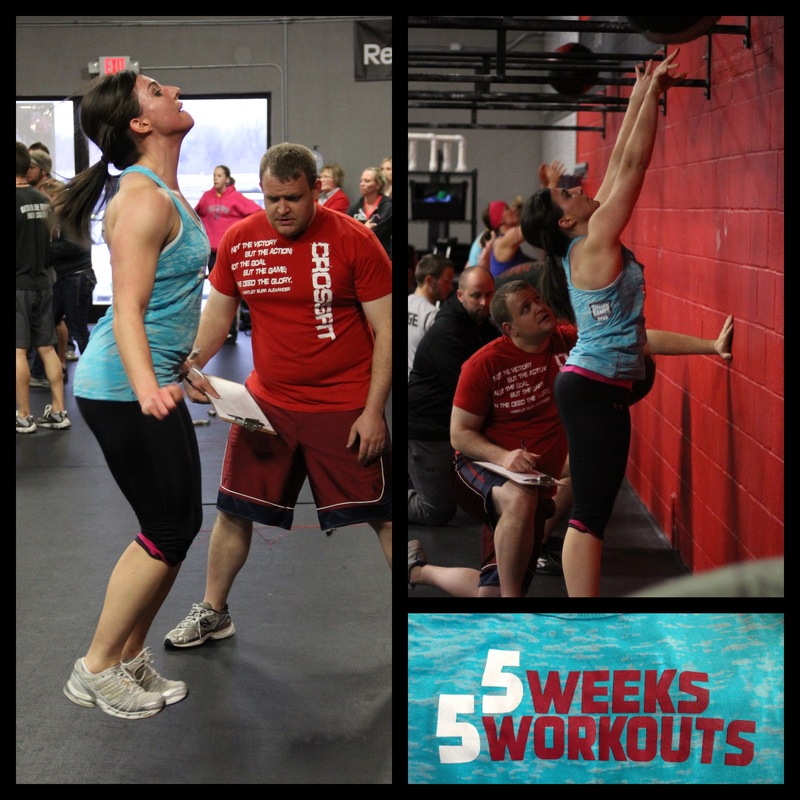 The Open is a world-wide CrossFit competition where athletes complete one workout a week for five weeks and submit their scores online. 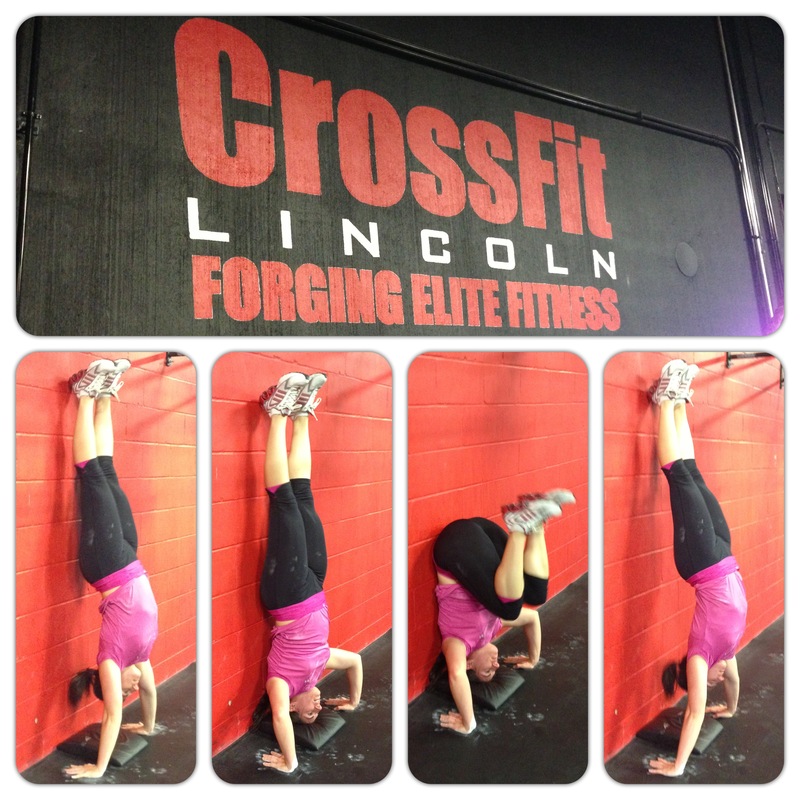 In August, I was excited that I achieved 5 kipping handstand push-ups for the first time. Remember to not give up on a goal even if it takes months to reach it! It is all about the small gains! Increasing my physical activity level resulted in completing three 5k races: the Color Run, NAND Fuel Up to Color, and the Spartan Sprint. I think this is a huge accomplishment since I completed my first 5k in 2012! 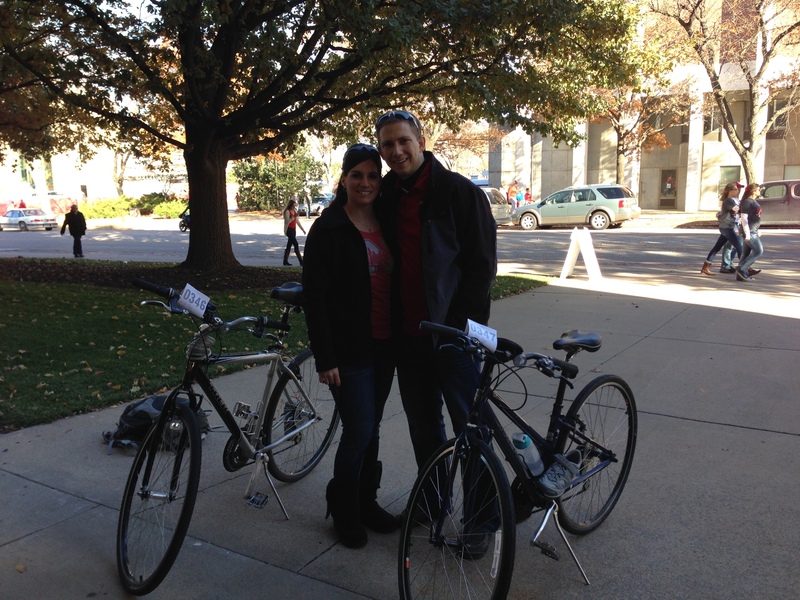 My husband and I also enjoy riding our bikes and playing volleyball to increase our physical activity level. Thanks to UNL Campus Rec for the bike valet we were able to bike to the football game. I was able to lose weight and maintain my weight loss by achieving my healthy eating and physical activity goals while enjoying unhealthier foods in moderation. I traveled a lot this past year. I attended the FBLA National Leadership Conference in June. 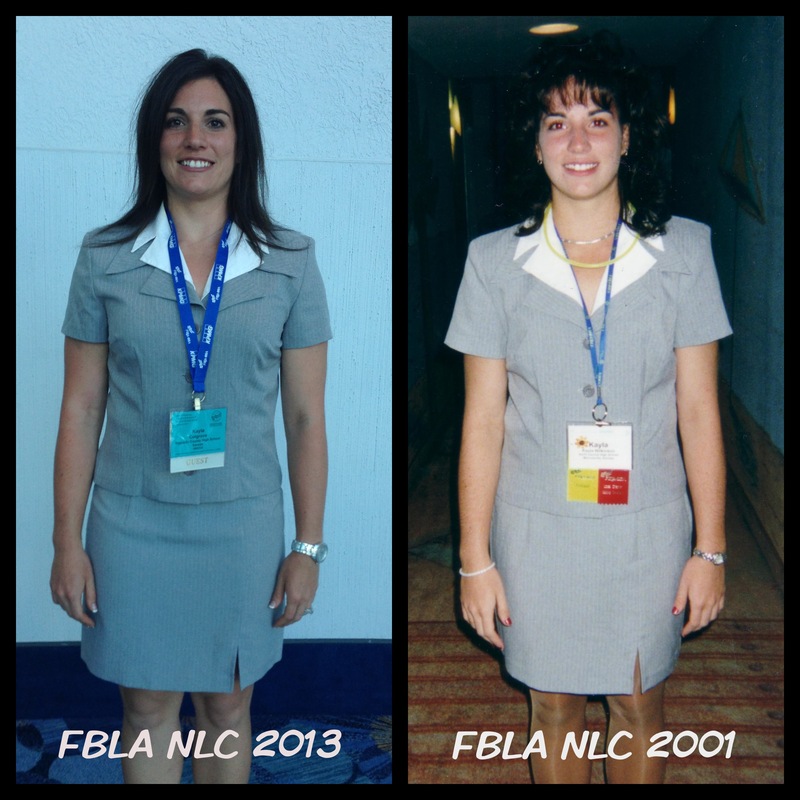 During my trip and in honor of Throwback Thursday, I wanted to recreate an FBLA pic from 2001. Same outfit, just 12 years later. Thanks to losing weight and making healthier decisions the same clothes still fit! Did you make a New Year’s Resolution goal? Make 2014 the year you lead a healthier lifestyle by making it a priority! Making a change takes time, commitment and a lot of encouragement. You may get off track at times, but pick up where you left off and start again. Keep working toward that goal and making healthier decisions! 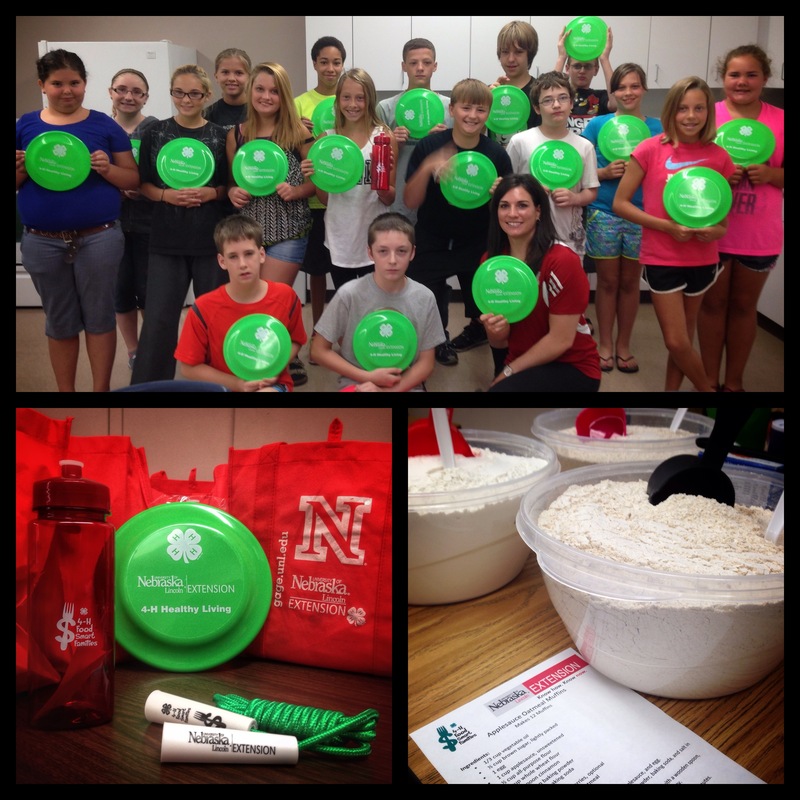 Check out my Walk Nebraska Newsletter “New Year, New You: 4 Tips to a Healthier You” to help you achieve your goals! 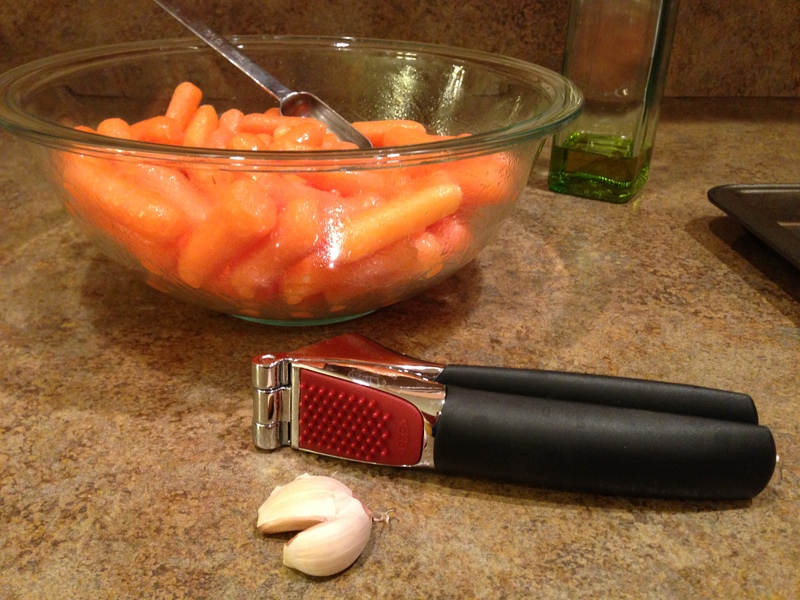 I love fresh garlic and I love baby carrots. I decided to put them together, and the recipe turned out amazing. 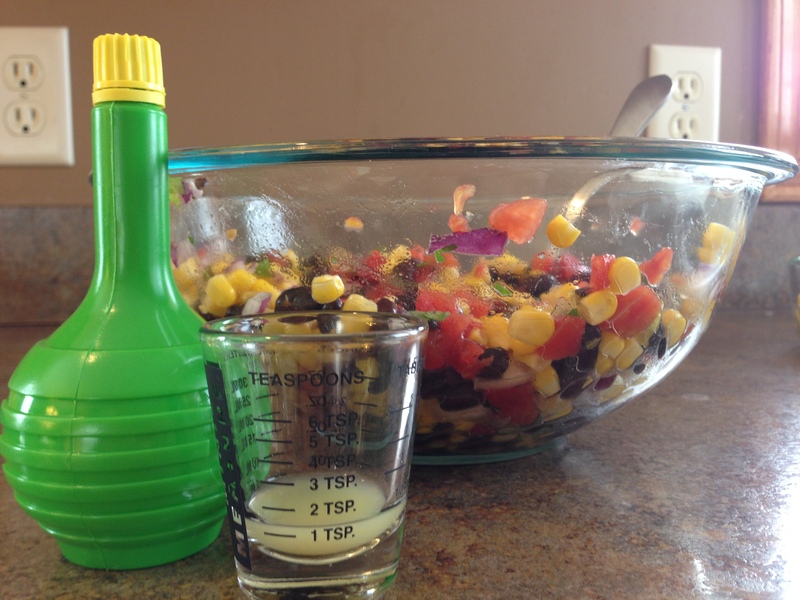 It has become one of my go-to recipes for an easy vegetable side dish. 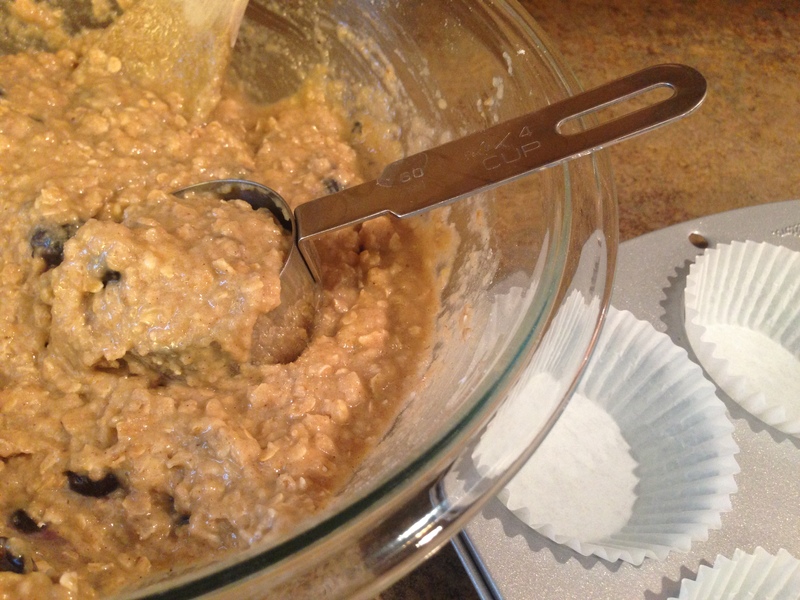 This recipe requires very little preparation since it only has 3 ingredients. 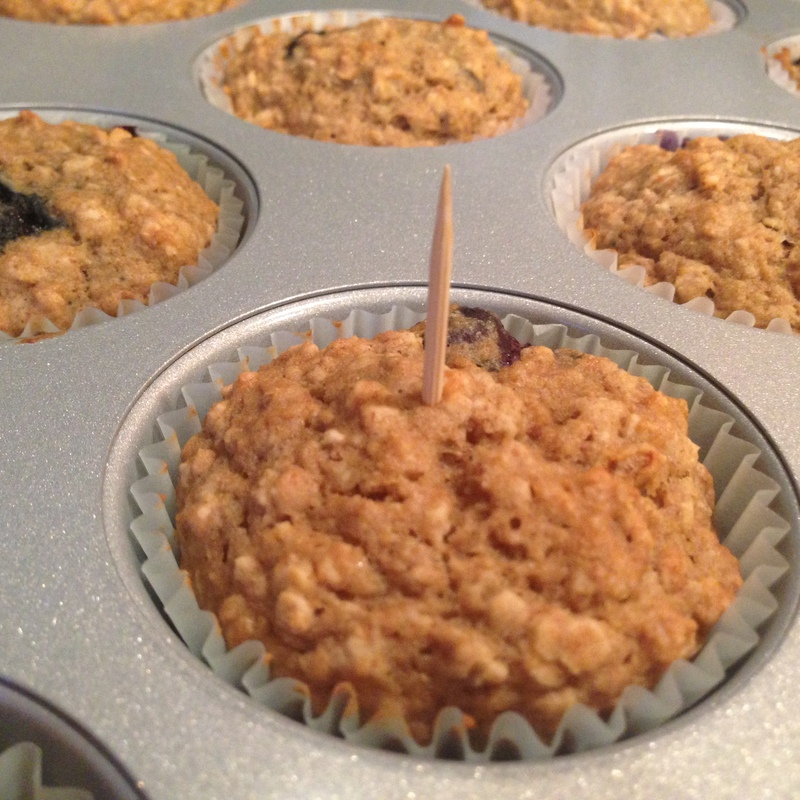 Extra Bonus – They even taste great as leftovers! I had to share my recipe with you. 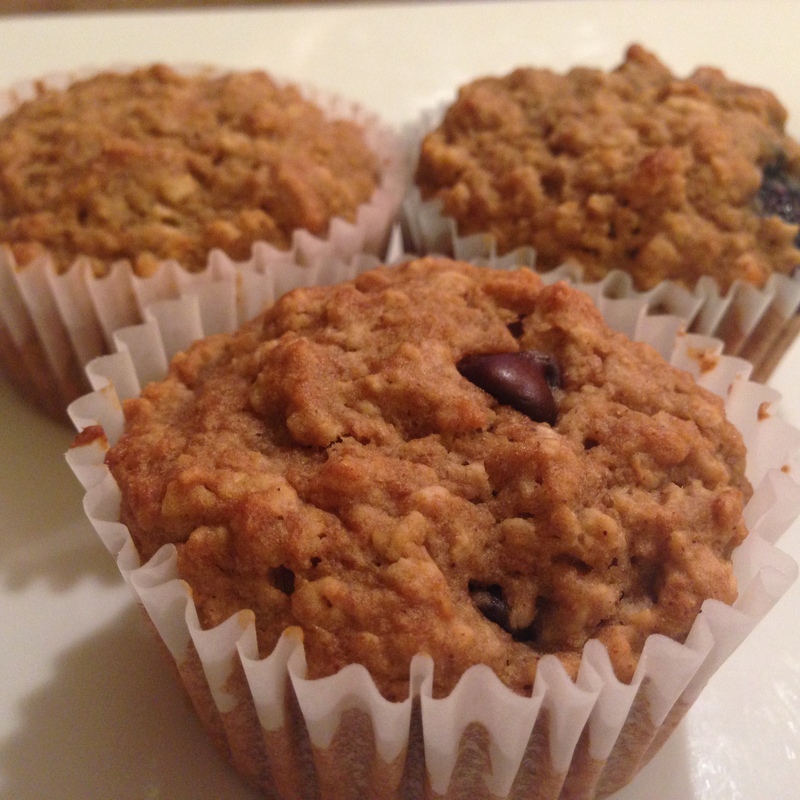 Please let me know if you make this recipe and how you like it by leaving a comment at the end of this blog post. Combine the carrots and olive oil in a large bowl. 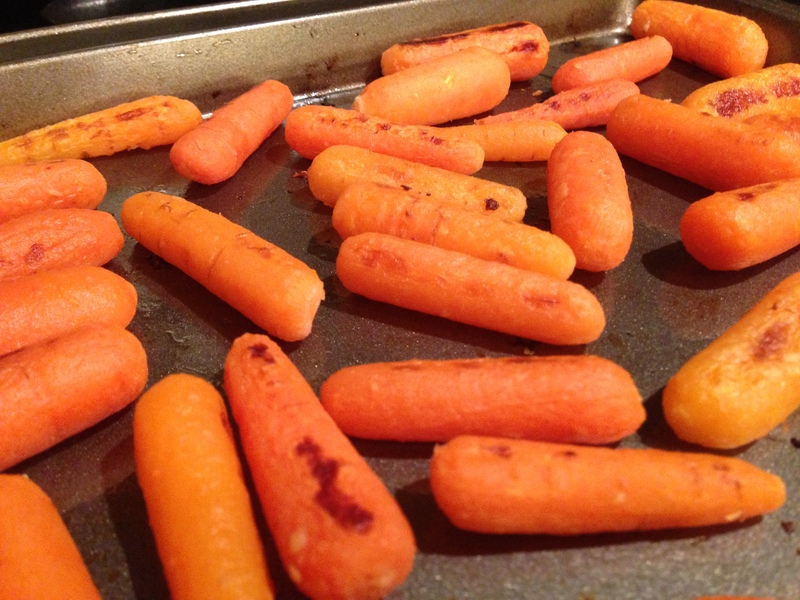 Place the carrots in a single layer on a 12″ x 16 3/4″ baking pan. I like to use a darker pan because the carrots will brown more. Roast for 30-35 minutes, stirring occasionally, until carrots are tender. I check to make sure the carrots are tender by using a fork to poke the carrots to see if they are soft. Combine the baby carrots and olive oil in a large bowl. Add the minced garlic cloves and stir. 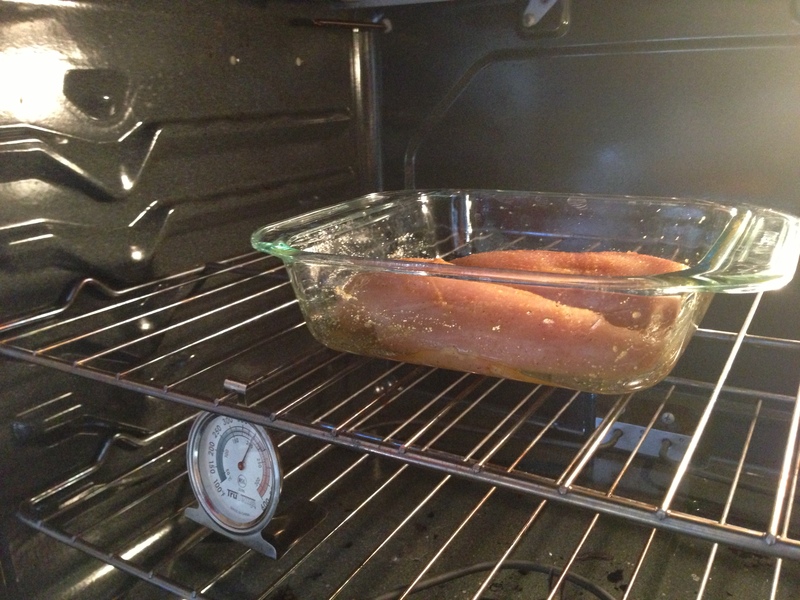 Place the carrots in a single layer on a 12″ x 16 3/4″ baking pan. Roast for 30-35 minutes, stirring occasionally, until carrots are tender. 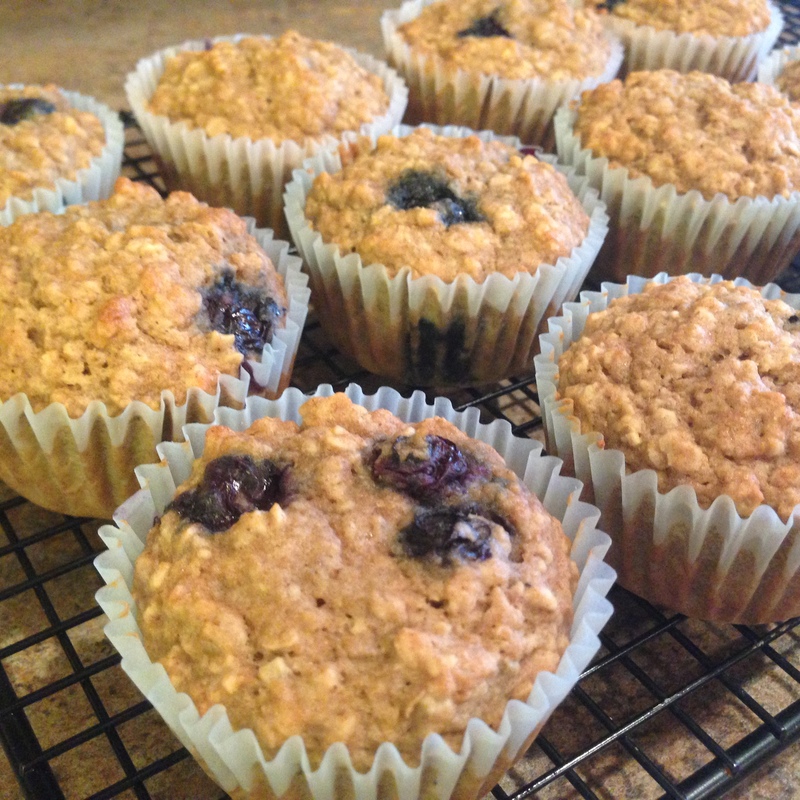 Strawberries, blueberries, blackberries and red raspberries… oh my! These are some of my favorite fruits. 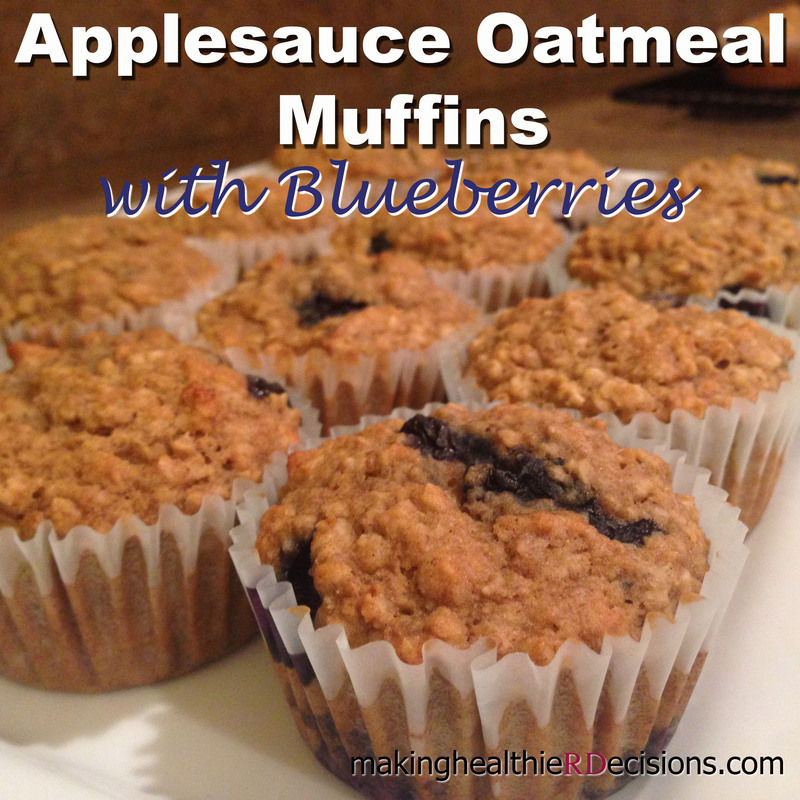 I love to eat them as a snack, in a salad, or with frozen yogurt. I especially enjoy fresh berries this time of year because they are in season, cost less, and taste better! Another summertime favorite of mine is ordering Panera’s Strawberry Poppyseed & Chicken Salad* since it is only available during the summer. While shopping for groceries, I was looking at the refrigerated salad dressings in the produce aisle and realized that I could buy Panera’s Poppy Seed dressing*. This inspired me to modify Panera’s* salad recipe, which includes all of my favorites. 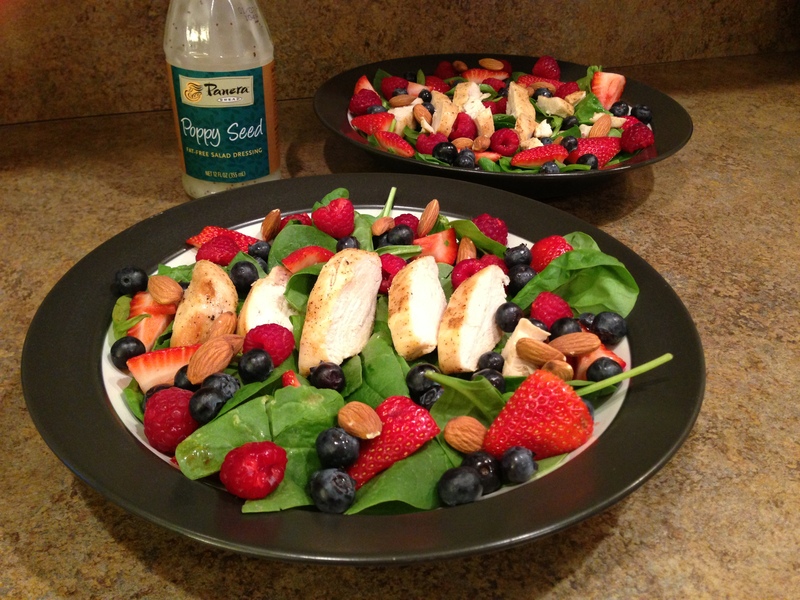 I swapped romaine lettuce with spinach, pecans with almonds, and only used fresh berries. 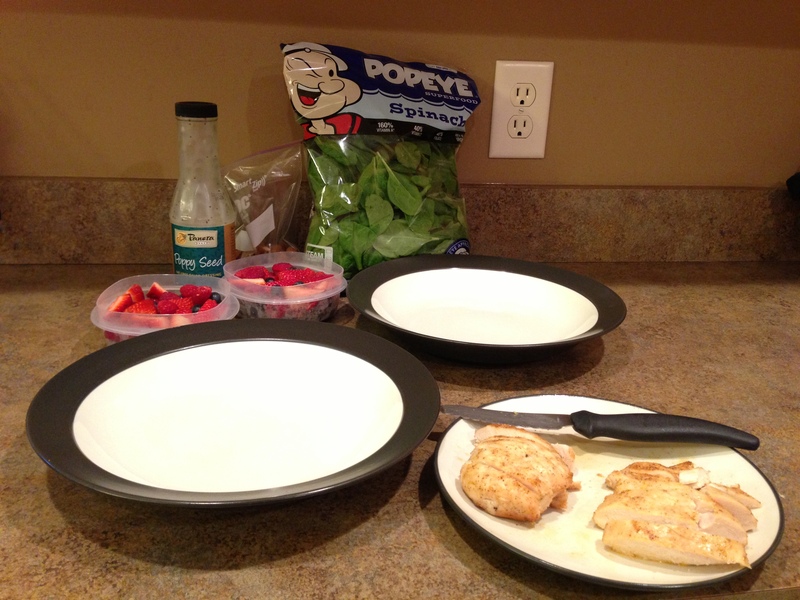 My spinach salad was topped with my Oven Roasted Chicken Breast along with some poppy seed dressing. 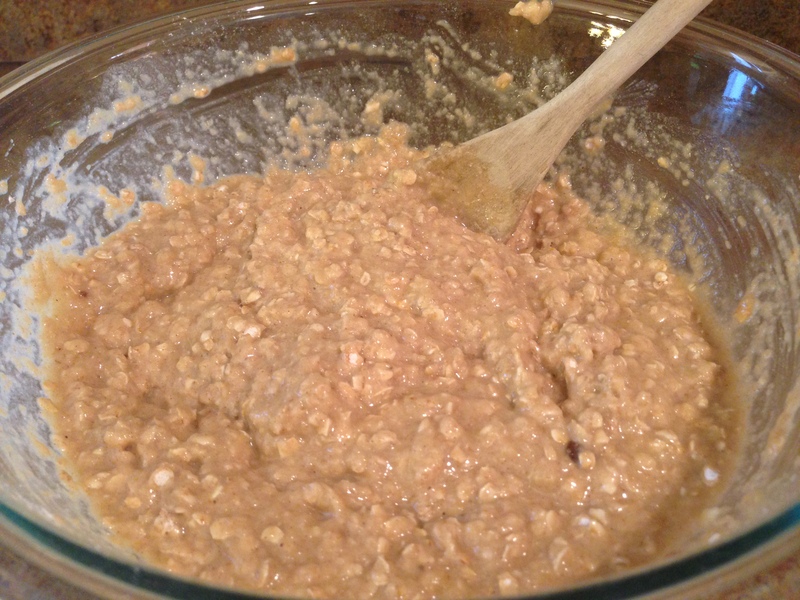 You can substitute the poppy seed dressing for raspberry vinaigrette or balsamic vinaigrette if you would like. 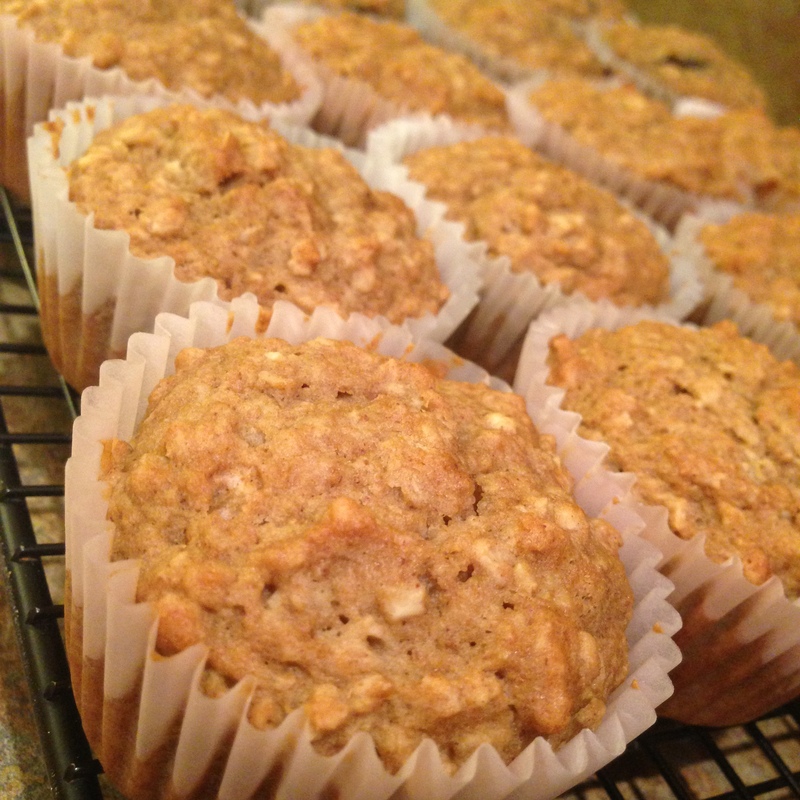 Feel free to adapt the recipe using your favorite fruits and nuts. This salad turned out amazing, so I had to share it with you! 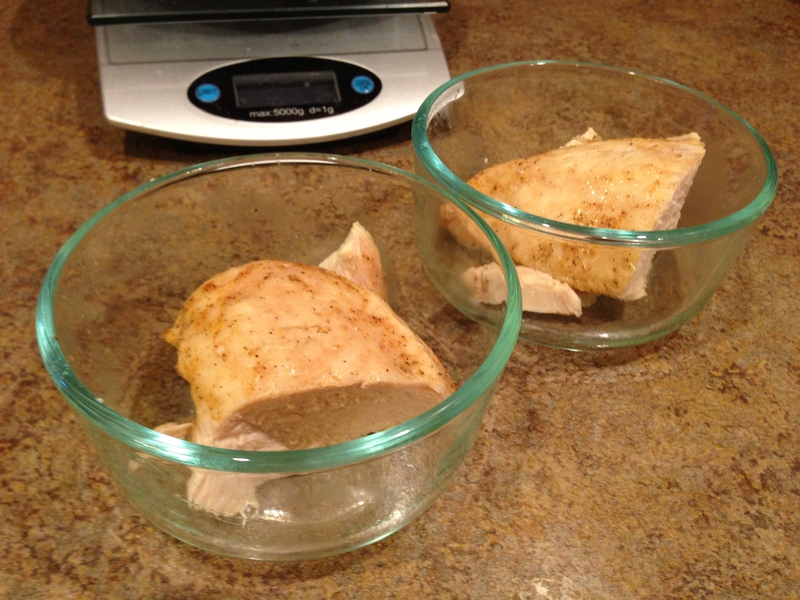 Prepare the Oven Roasted Chicken Breast Recipe or use leftover chicken breast to top the salad. 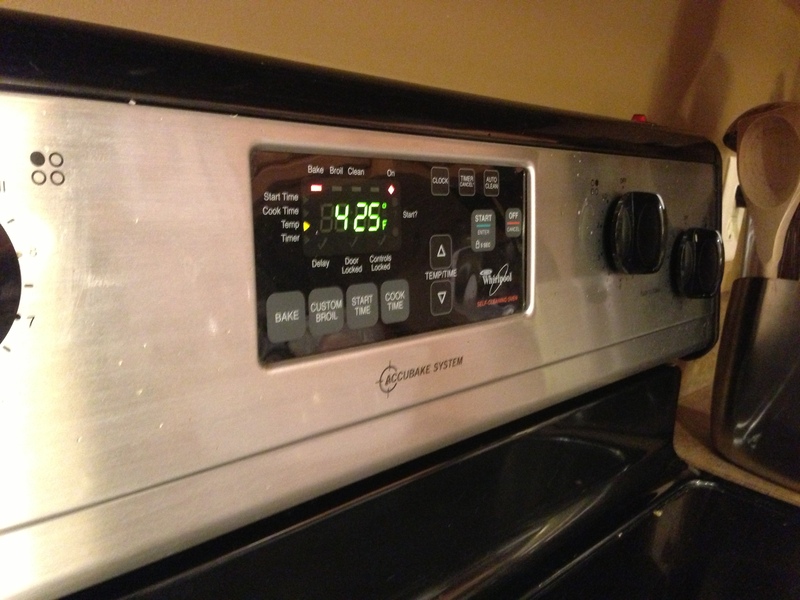 When using leftovers, reheat the chicken to a minimum internal temperature of 165°F. 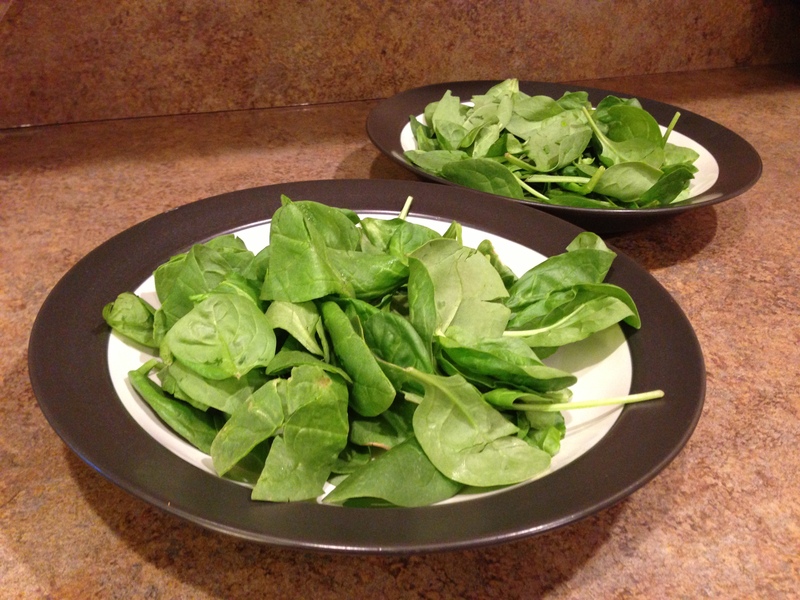 Add 2 cups (or 2 large handfuls) of spinach to each salad bowl. Top salad with 3 to 4 ounces of sliced oven roasted chicken breast. Add 1 cup of fresh berries to the salad bowl. Make sure to wash fresh berries under cool running water before adding to salad. 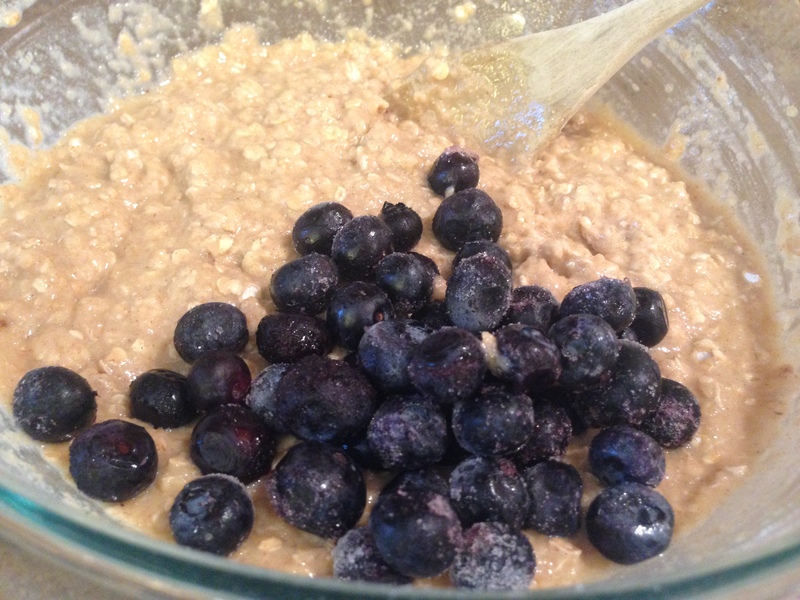 I used a combination of my favorite berries like strawberries, blueberries, and red raspberries. 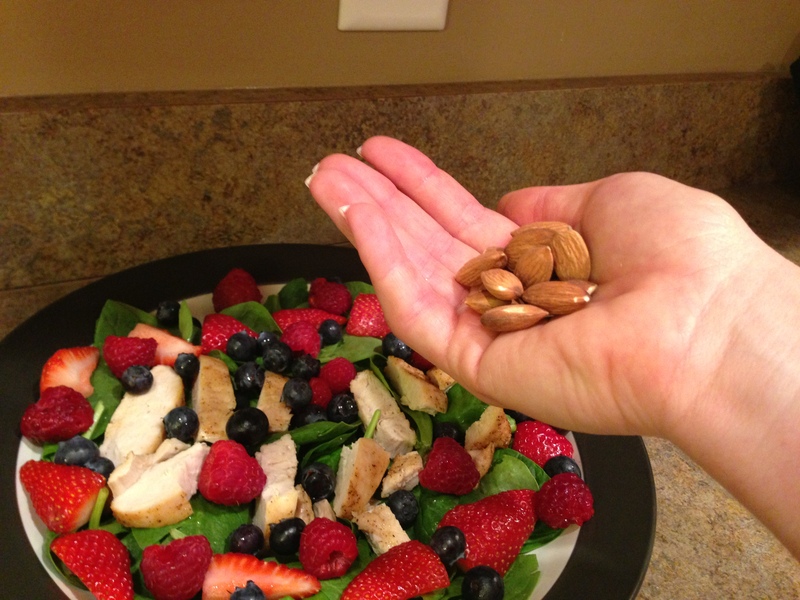 Place a handful of almonds on top of salad, which is about 1/4 cup of almonds. Finish the salad by adding 1-2 tablespoons of Panera’s Poppy Seed dressing*. I like to mix up my salad before enjoying it! I also enjoyed this salad the next day for lunch at work. 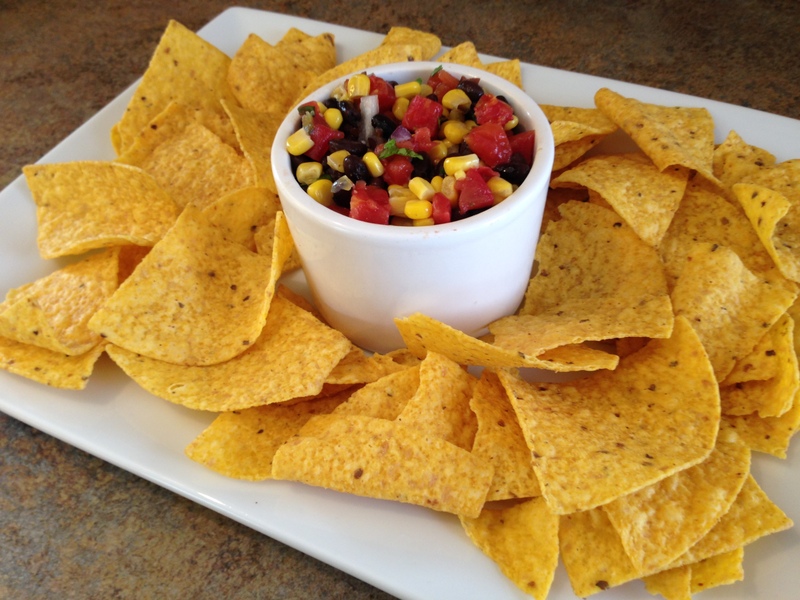 Don’t be afraid of using leftovers for a simple meal at work! I had enough chicken and fresh berries left for my spinach salad. Prepare the Oven Roasted Chicken Breast Recipe or use leftover chicken breast to top the salad. 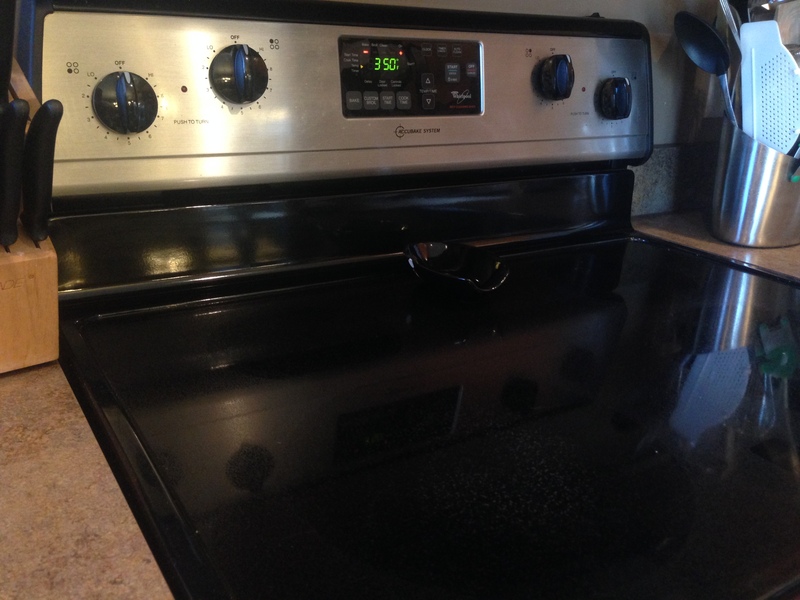 When using leftovers, reheat the chicken to a minimum temperature of 165°F. 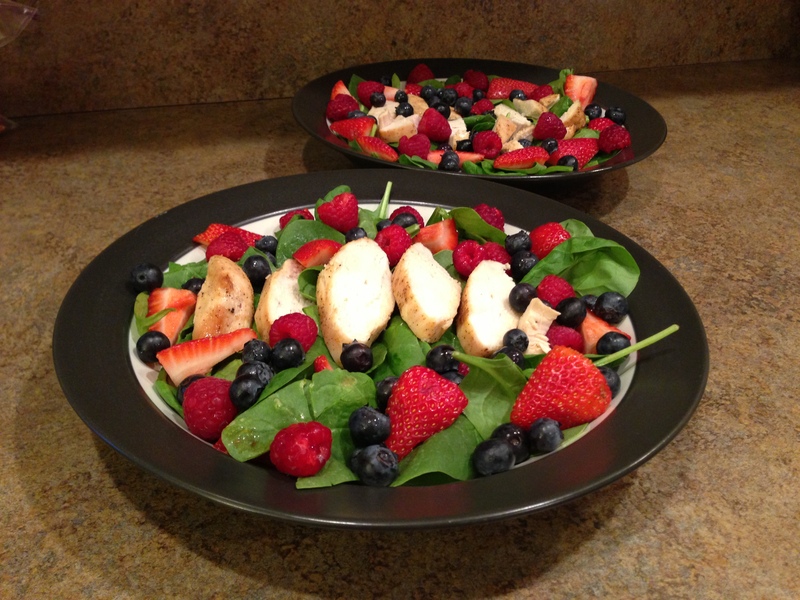 Add 1 cup of fresh berries to the salad bowl. Make sure to wash fresh berries under cool running water before adding to salad. In order to balance my busy schedule and eating healthy, I created this simple chicken breast recipe that is great by itself, mixed with veggies, or on salads. 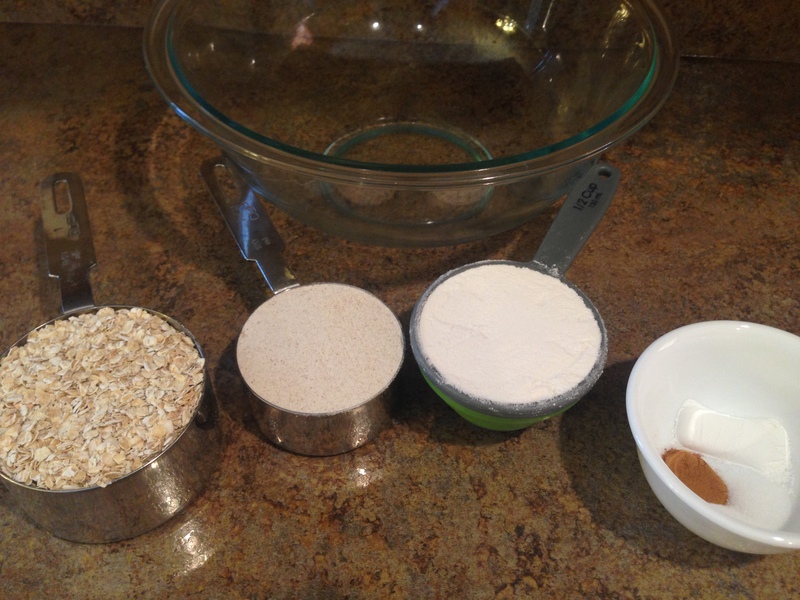 The best part, it only has 3 ingredients! I always make enough to have leftovers too. Enjoy this chicken recipe with a variety of meals. 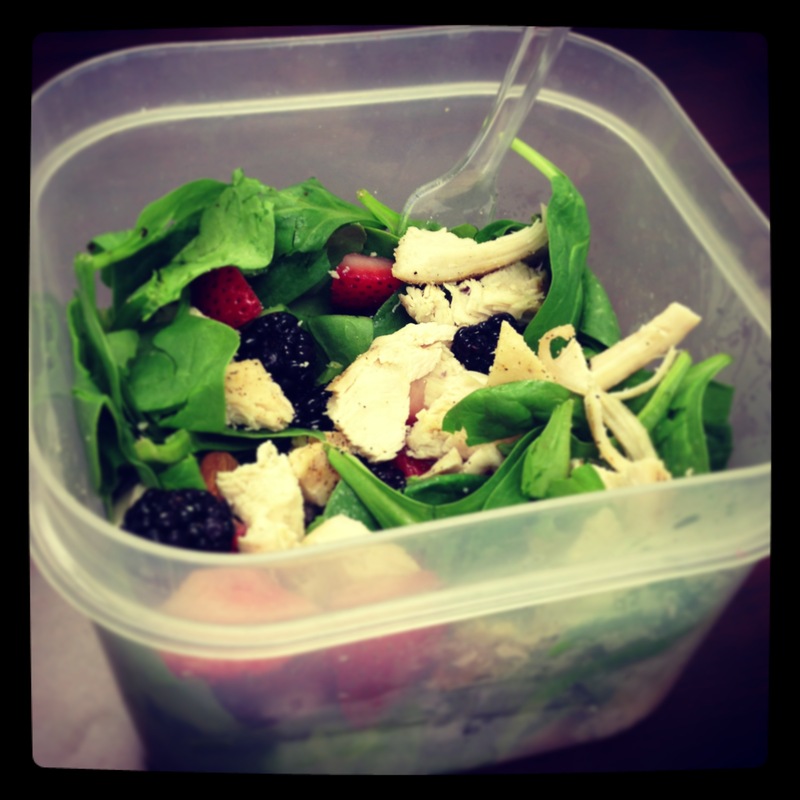 More recipes are to come using this simple chicken recipe, but check out my Almond Berry Chicken Salad blog for one idea. Mix together 1 tablespoon of olive oil and 1.5 teaspoons of grill seasoning (My husband and I really like PepperJax Seasoning*, which can be found in select grocery stores). Of course, this seasoning can be substituted by any other grill seasoning. 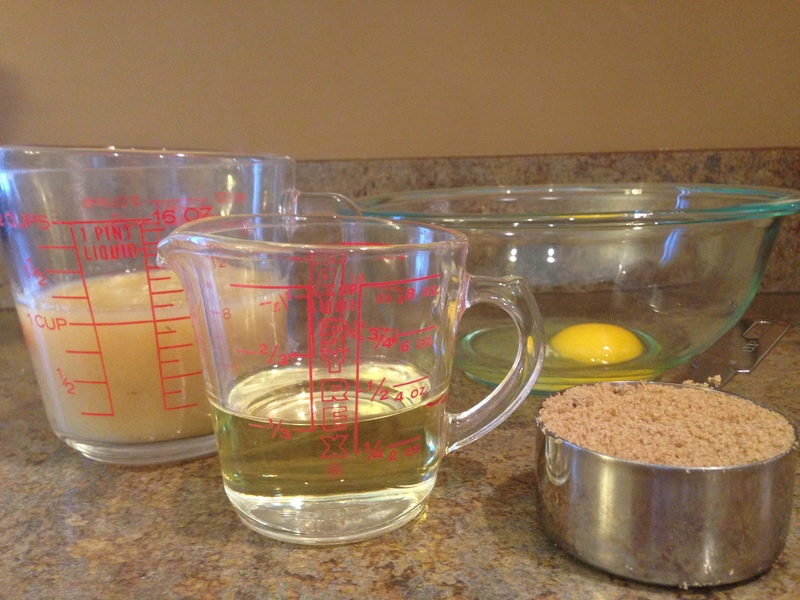 Place chicken breasts in an ungreased 8×8 inch baking pan. 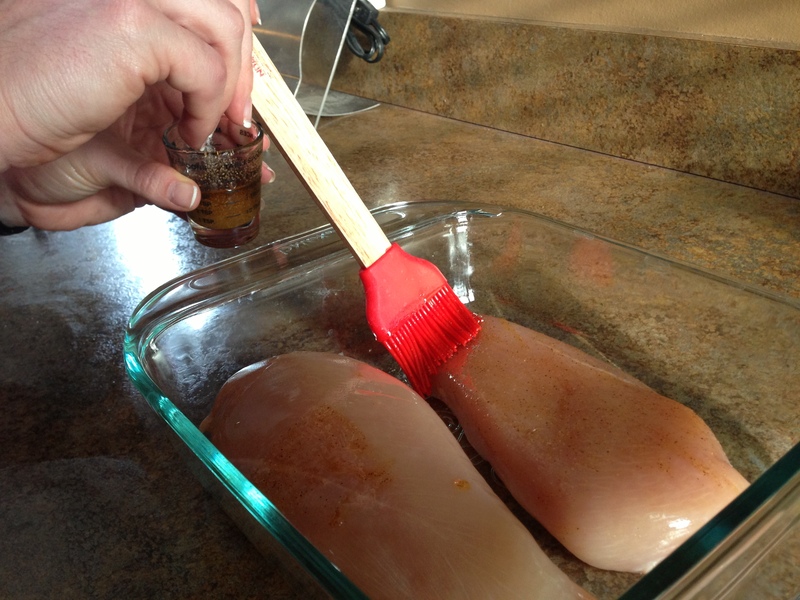 Brush both sides of the chicken with the olive oil mixture. Pour the remaining olive oil mixture evenly over the chicken. 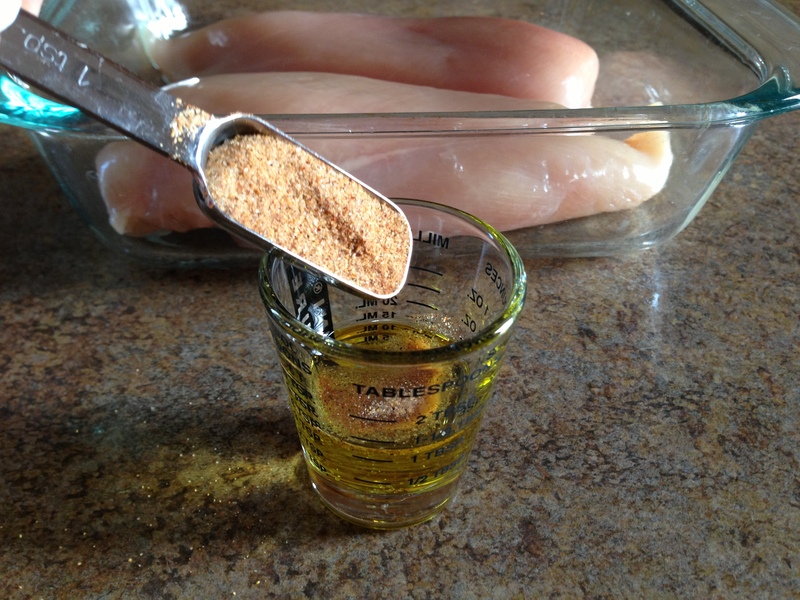 Bake uncovered for 25 – 35 minutes (depending on size of chicken breast) until the juice of the chicken is no longer pink. 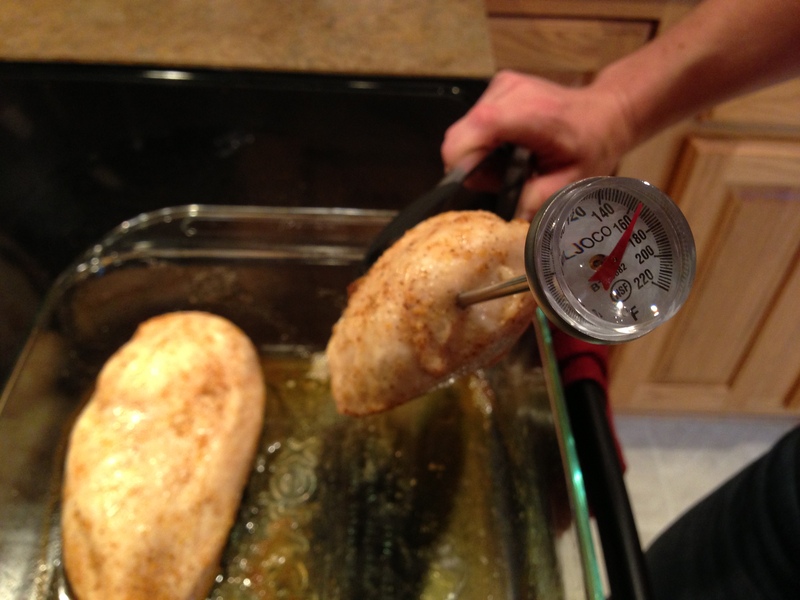 The best way to know the chicken is fully cooked is to insert a food thermometer into the thickest part of the chicken. 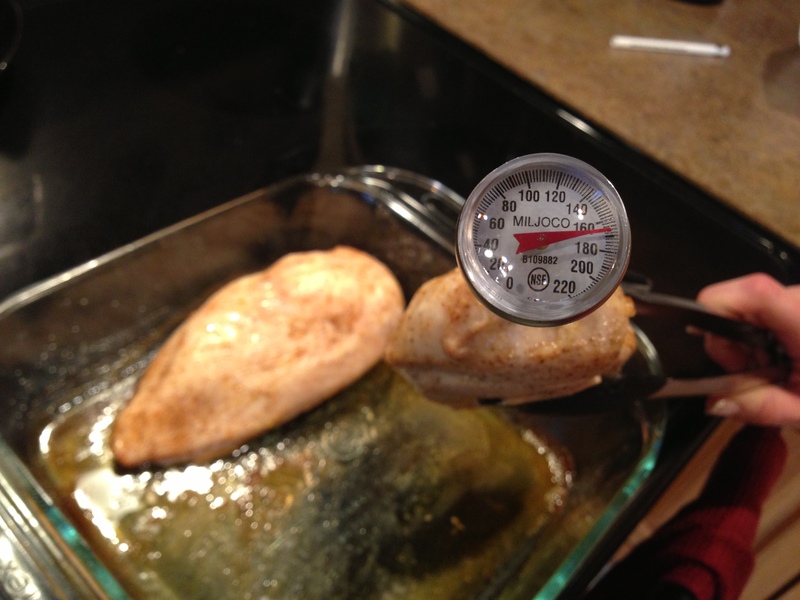 When the internal temperature of the chicken reaches 165°F, the chicken is safe to eat. 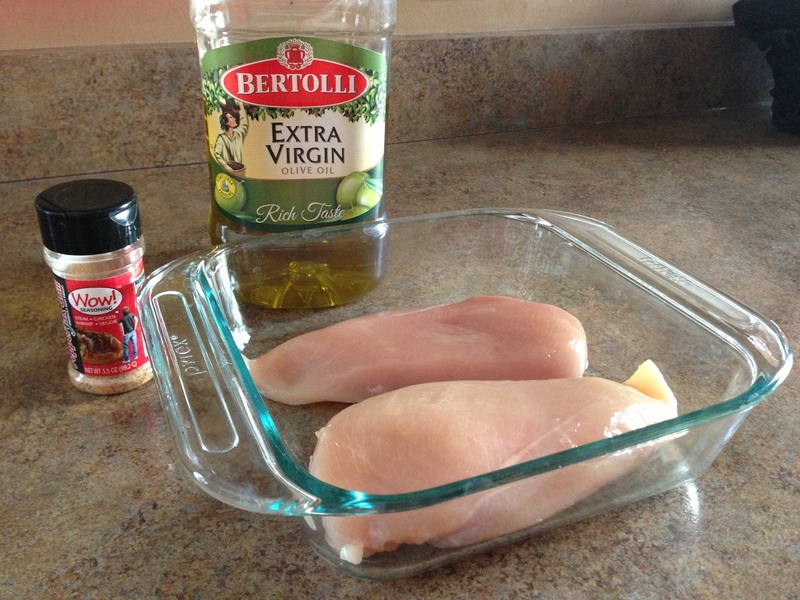 Cut chicken breast into 3-4 ounce servings. I like to use a kitchen scale to measure, but 3-4 ounces of cooked meat looks like a deck of cards. 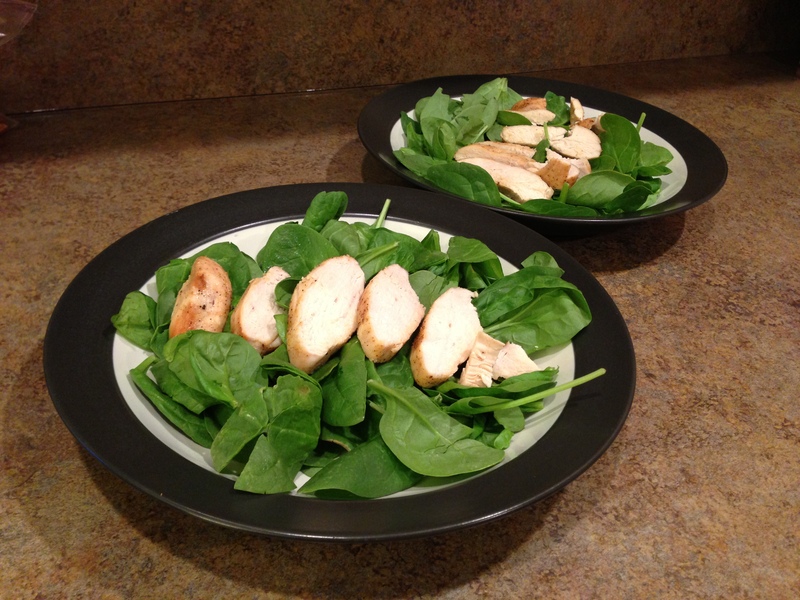 Eat cooked chicken right away or refrigerate for up to 4 days to use in other meals. 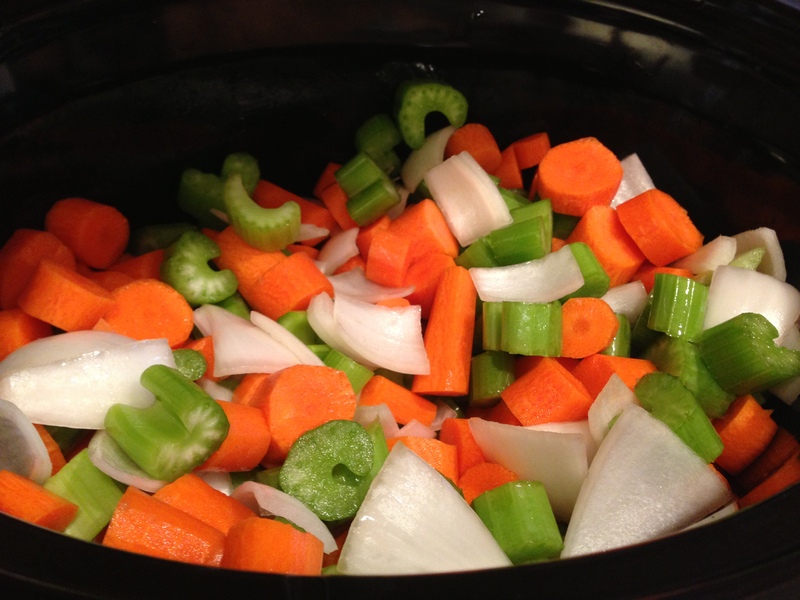 Living a busy life, I turn to my slow cooker a lot to make simple recipes. 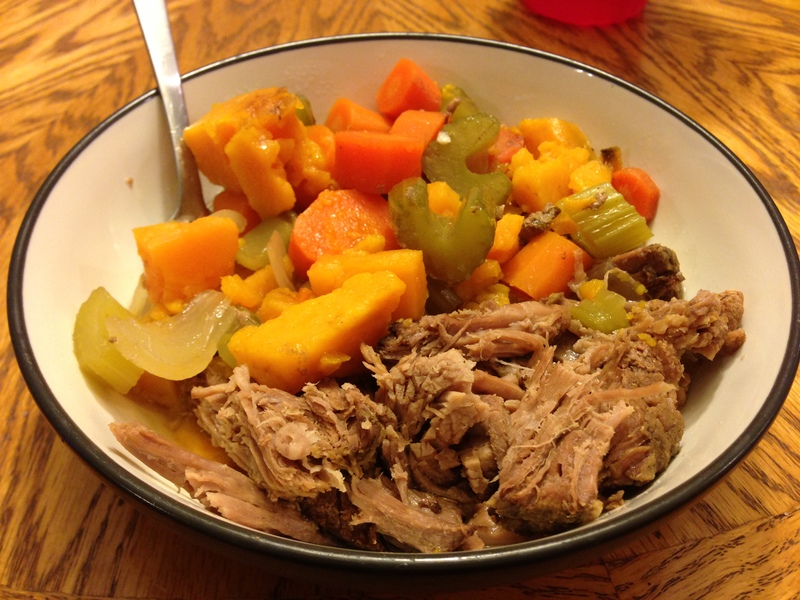 After prepping all of your ingredients, you place them in your slow cooker and let it sit for 6 – 10 hours depending on the recipe and your timeframe. How easy is that! 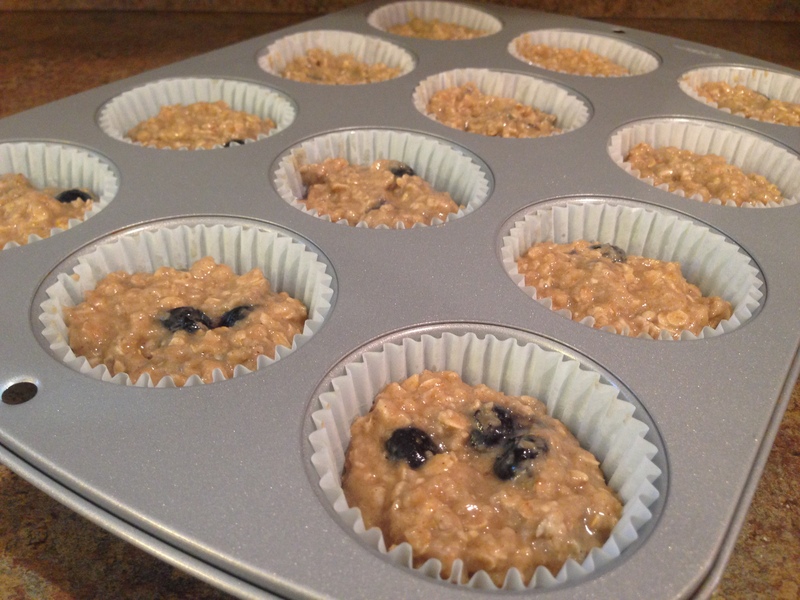 The best part is that my husband and I are able to eat about 6 meals from one recipe! 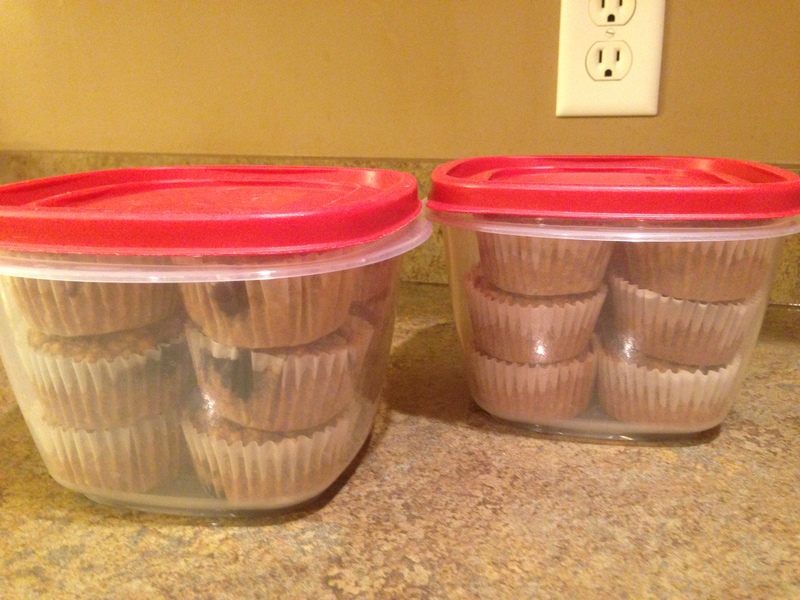 The leftovers work great during the week. Especially right now, my evenings are busy with CrossFit, volleyball, bible study, or meetings for work. So, planning or preparing my meals on the weekend is essential! My husband and I are trying to eat more vegetables, so I decided to create a healthier roast that was loaded with veggies. Usually, I use white potatoes in my roasts, but I decided to swap them out with sweet potatoes. Why? Sweet potatoes are high in vitamin A, vitamin C, and fiber, contain a good source of calcium and potassium, and an excellent source of fiber. They contain more nutrients than white potatoes making them healthier. I normally do not add very many vegetables to my roasts, but ChooseMyPlate.gov recommends making half of your plate fruits and vegetables. 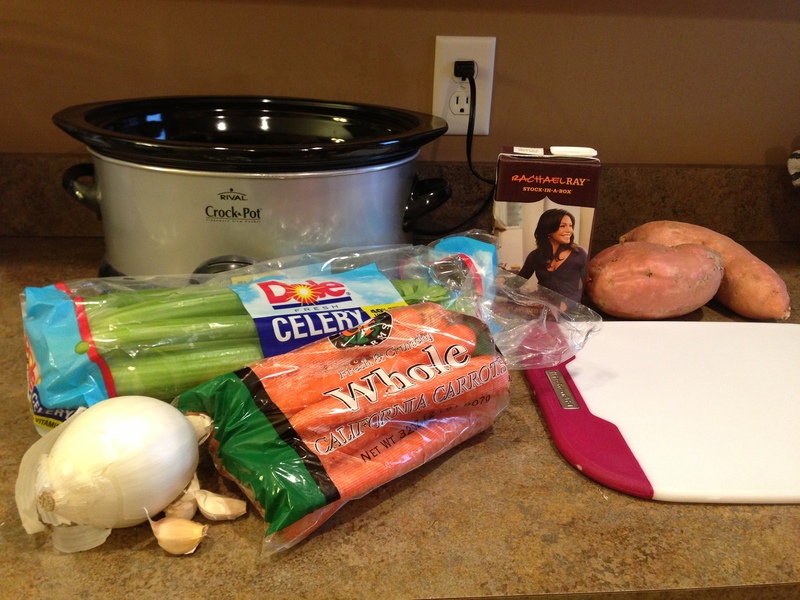 So, I decided to add more carrots and onion while incorporating celery into my recipe. 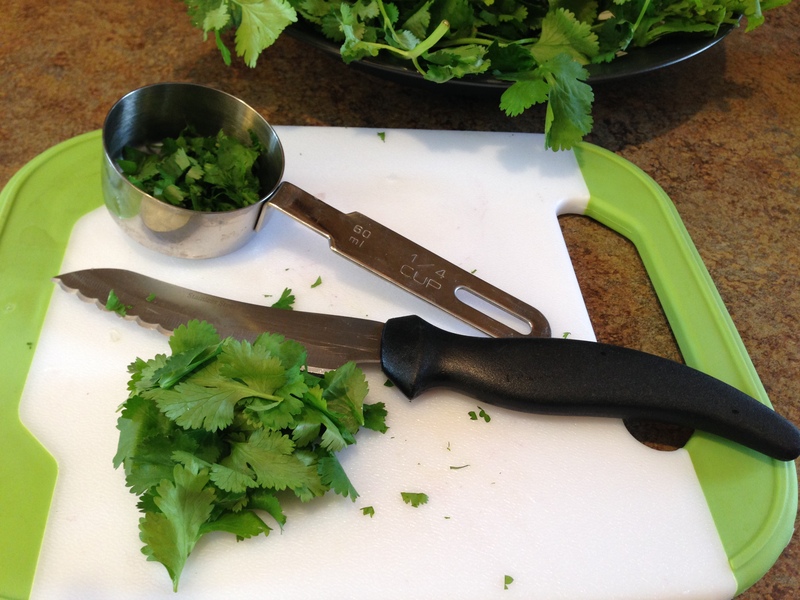 Cut off the base and leaves of the celery. Wash stalks of celery under running water. 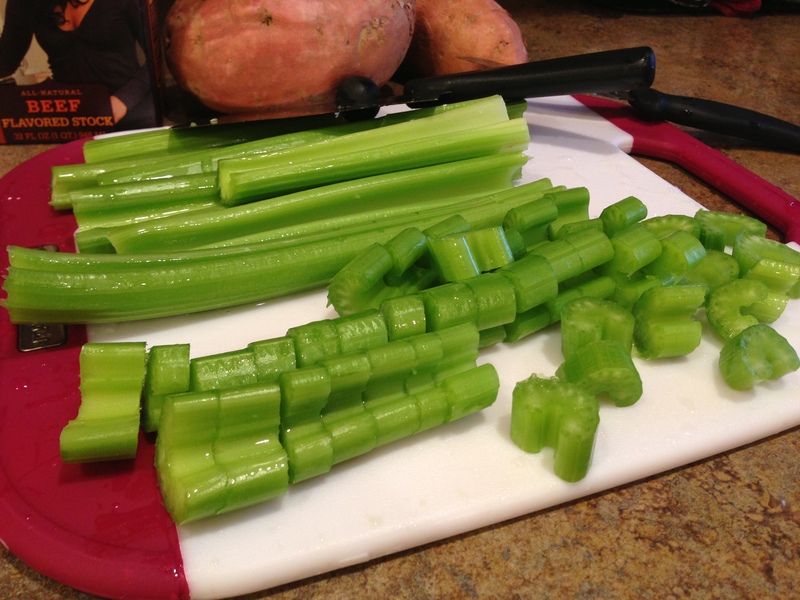 Cut the stalks into 1/2 inch slices. 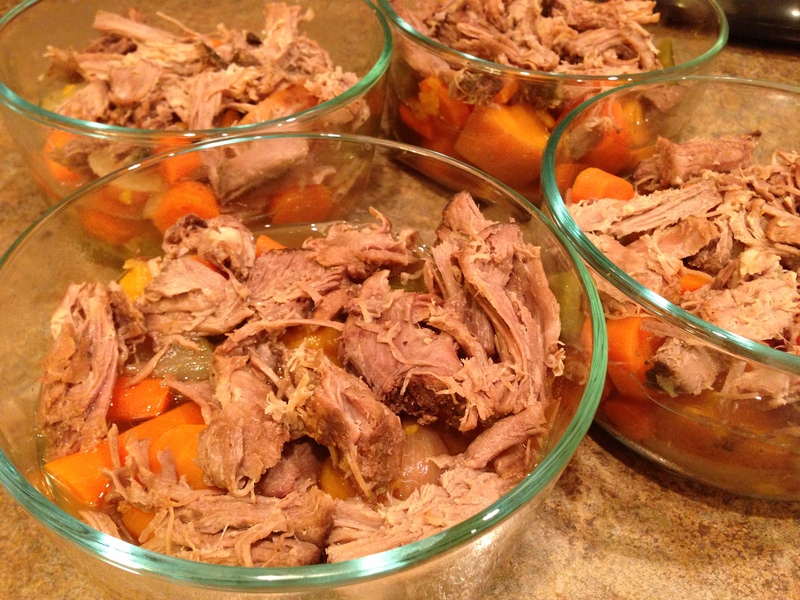 Place into the slow cooker. 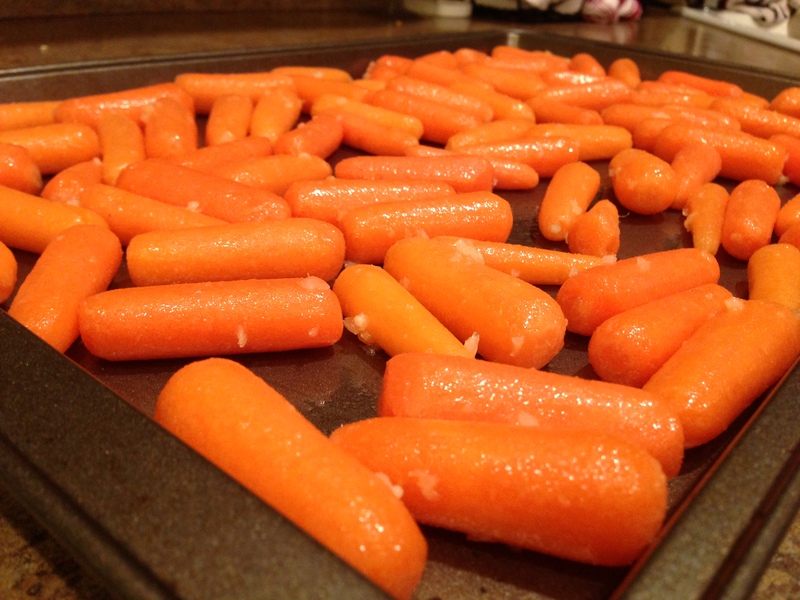 Wash carrots under running water while gently scrubbing them. Peel carrots and cut off the end of the carrot. 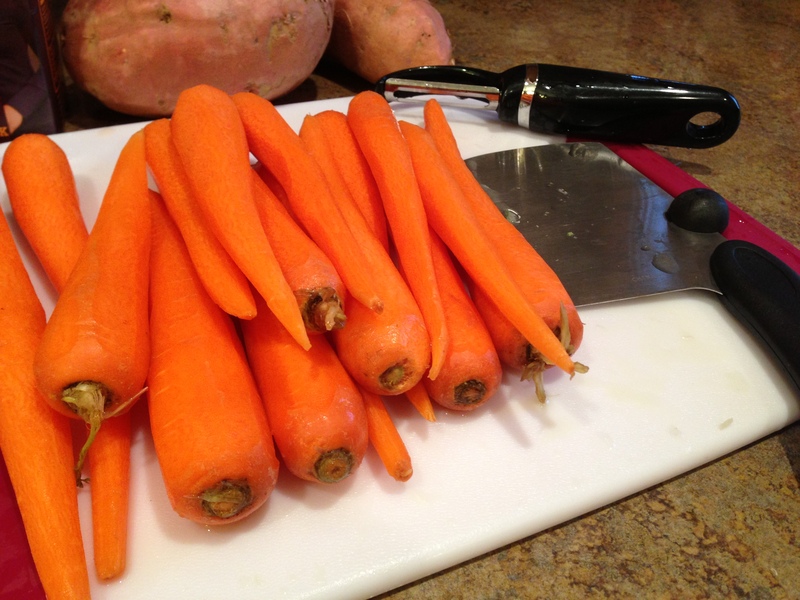 Then, slice carrots into 1/2 inch slices. 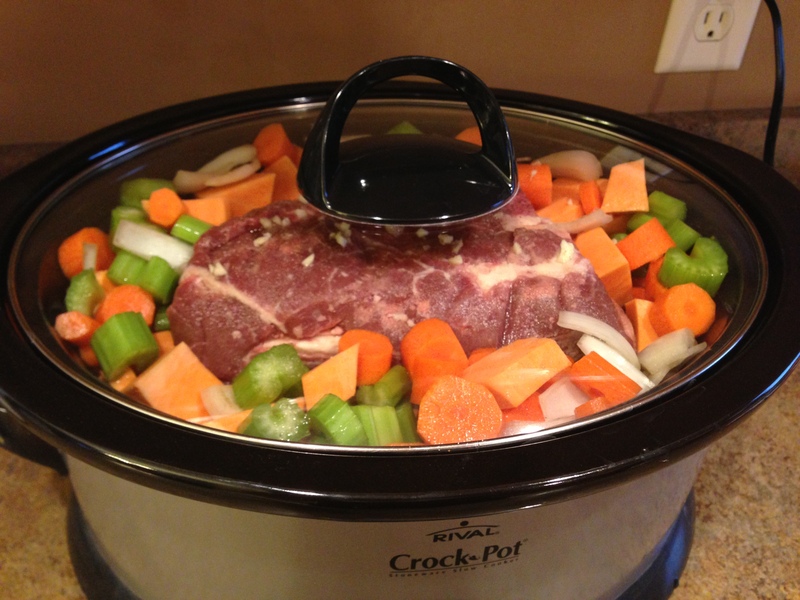 Place into the slow cooker. 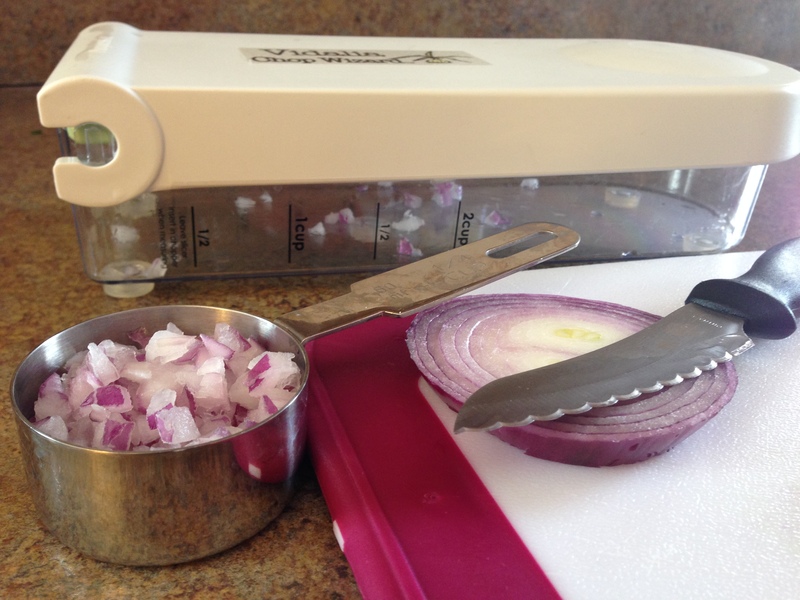 Cut ends off of the onion and peel the outermost layer. 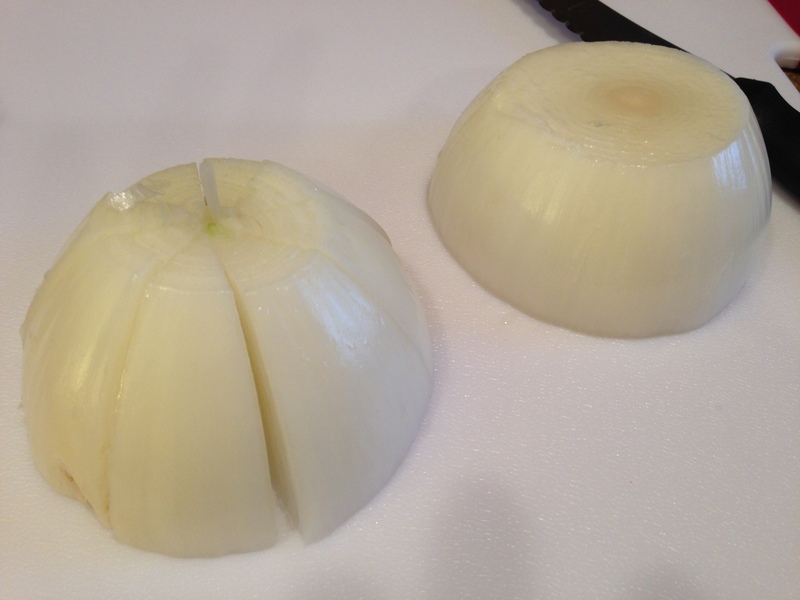 Cut onion in half. Slice each half into 8 slices. 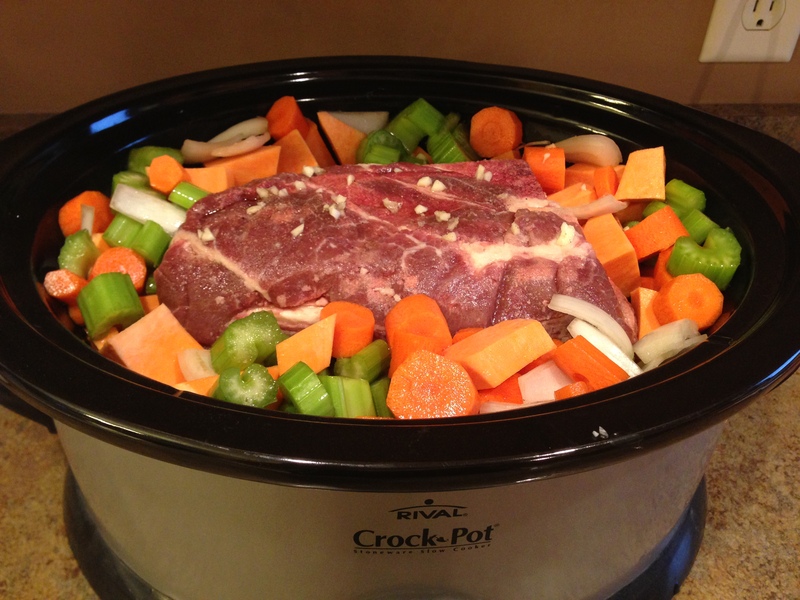 Place in slow cooker. 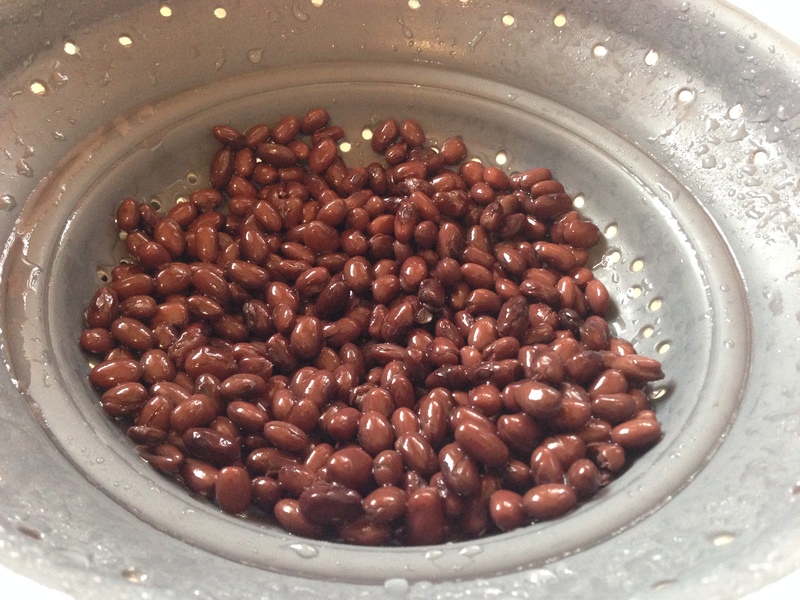 Wash sweet potato under running water while gently scrubbing them. Peel the sweet potatoes if you would like to, but it depends on personal preference. 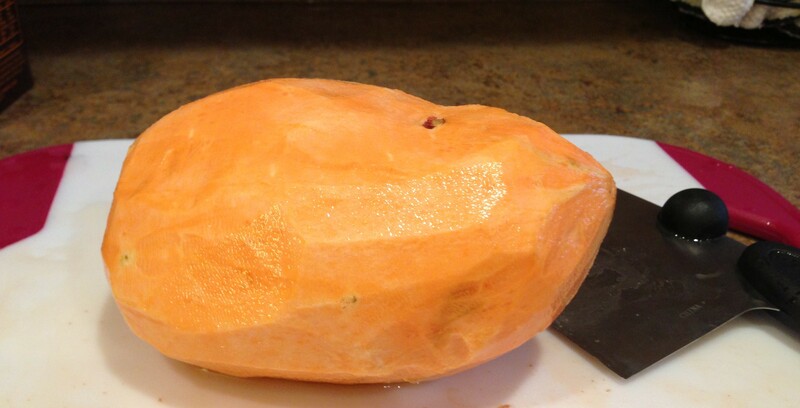 I have tried the recipe with the skins left on the sweet potato, and it still turned out great. Cut sweet potatoes into cubes. 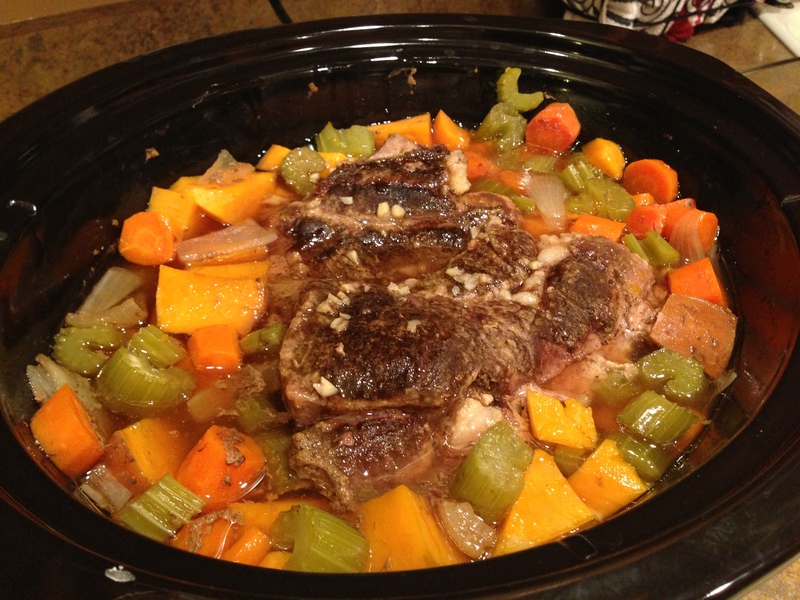 Place in slow cooker. 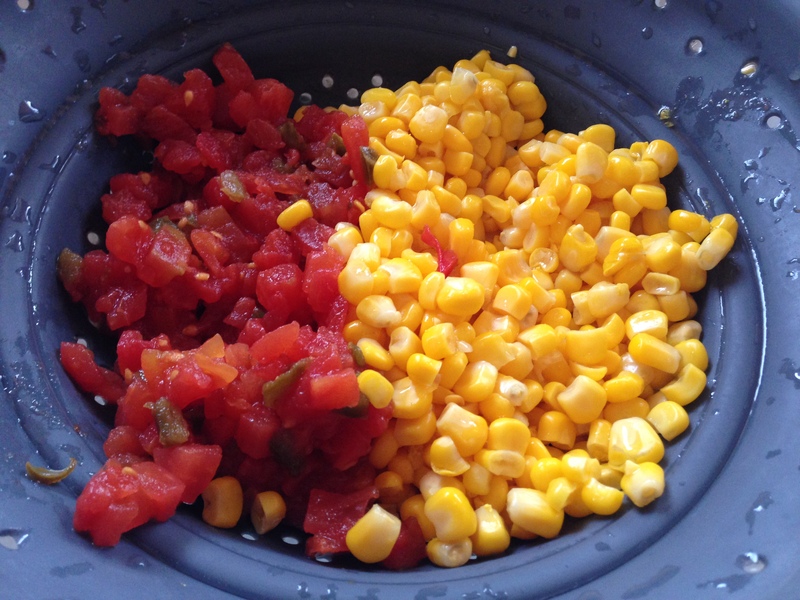 You may have to move some of the vegetables into a separate bowl in order to fit the roast in the middle. 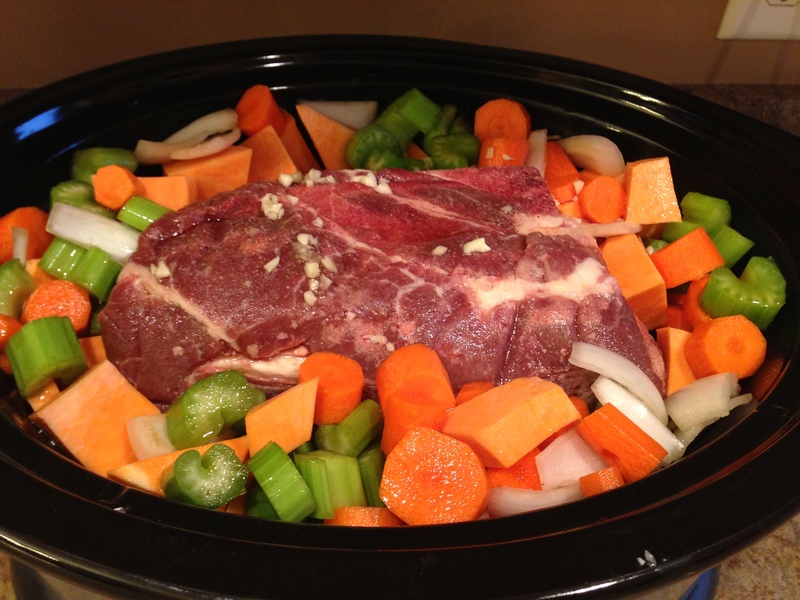 Place roast in the middle of the slow cooker. Take 1.5 tablespoons of the house seasoning and sprinkle on all sides of the roast and vegetables. Peel 3 garlic cloves. Mince the garlic. I put some garlic on the vegetables and I leave some on top of the roast. Put the remaining vegetables on the sides of the roast. Add 3 cups of beef stock. I like to use Rachel Ray’s Stock-in-a-Box All-Natural Beef Flavored Stock*. Cover and cook on high for 6 hours. If I cook my roast on the weekends, I like to cook it on high for 6 hours. If I started the roast before I leave for work, then I would cook it on low for 10 hours. After it is done cooking, I like to cut the fat away from the roast and shred the meat. Shredding the meat makes it easier for leftovers. After you are done eating, it is time to get the leftovers ready. I put 3 ladles of vegetables with a little juice in each bowl along with 1/2 cup of meat. I had 4 bowls of leftovers! It makes cooking easier during the week.